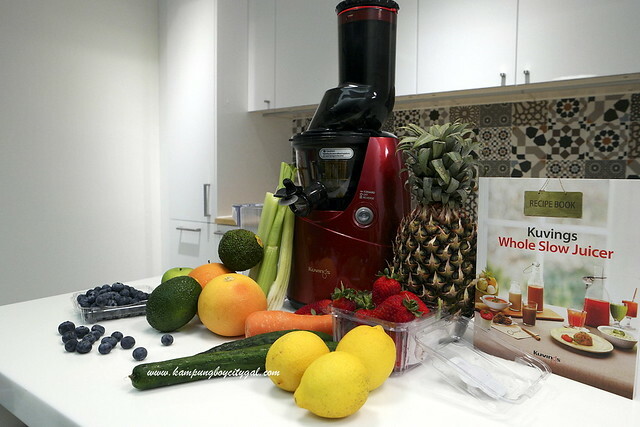 We recently embarked on our juicing journey with Kuvings Whole Slow Juicer. A slow juicer is high on my want list ever since we moved in to our new place. 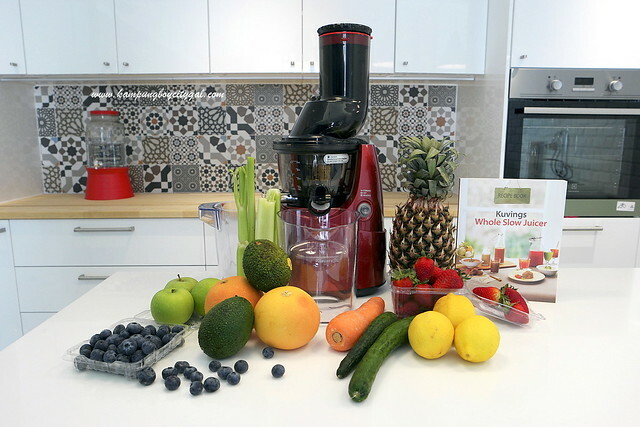 I have to say that we are very happy with the Kuvings Whole Slow Juicer and the health benefits that it reaps. 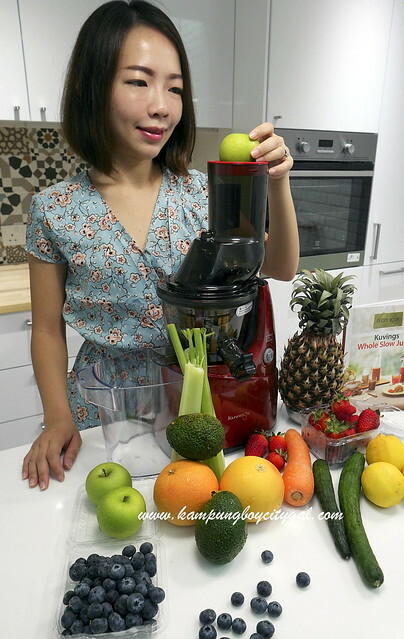 Kuvings Wide Mouth Slow Juicer is fully imported from Korea by Kuvings Malaysia. 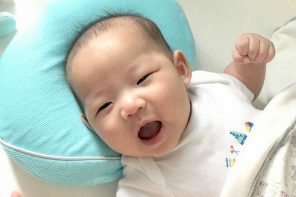 We got the brand new model a wide mouth design known as “Chompy Charlie” (Model B6000R – RRP RM2,698). Chompy Charle because the juicer swallows fruits and vegetables whole. The silver model is known as “Hungry Henry”. 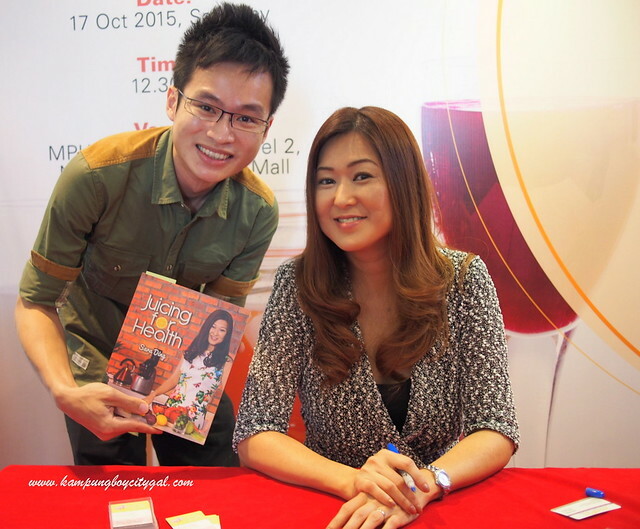 We also attended the book launch of Sara Ding, a fellow Malaysian who writes at www.juicing-for-health.com. 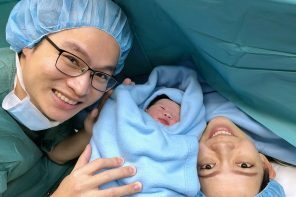 She doesn’t look like a grandmother with 2 grandchildren right? Got to attribute that to juicing. 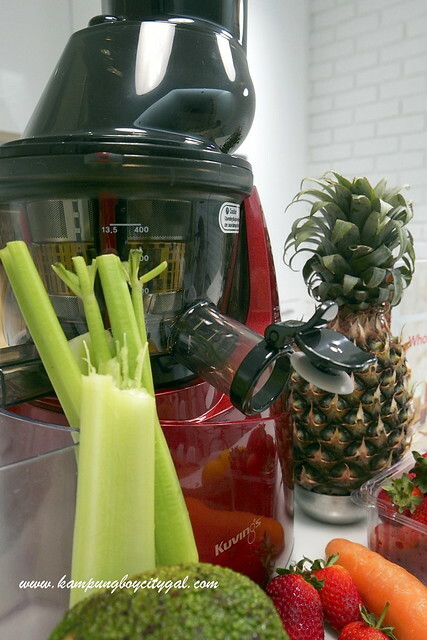 During the launch, we learnt about the benefits of a slow juicer, as compared to centrifugal juicer. Slow juicer uses the screw mechanism to extract juice, which means that you get more juice out of the fruit or vegetable. 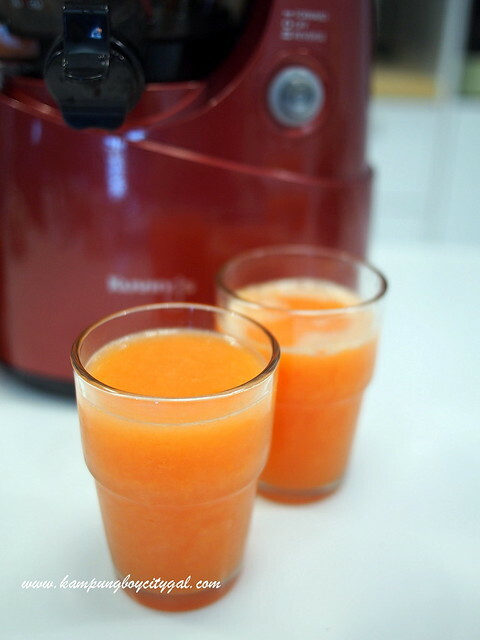 Studies show that a slow juicer is able to extract 35% more juice. 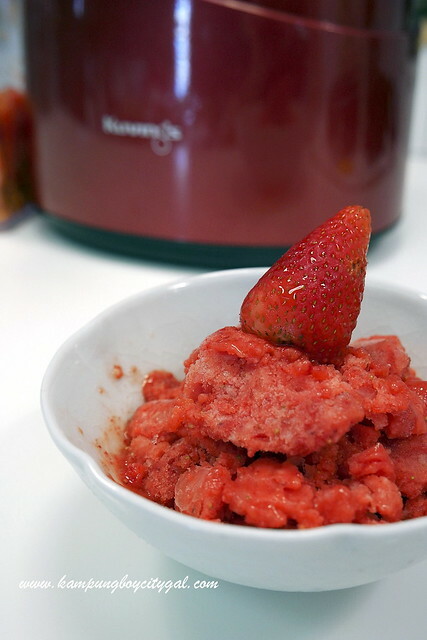 The slow compression method of a slow juicer does not generate heat. This preserves all those healthy, natural enzymes and vitamins contained in the fruit or vegetable. 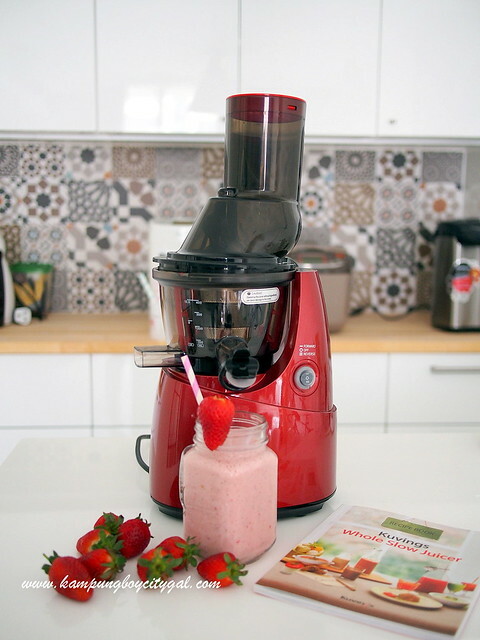 A conventional juicer will often generate heat during the juicing process that kills off the vitamins and enzymes. Centrifugal juicer works by spinning at very high speed, thus producing noise. Whereas a slow juicer is very quiet, with only low whirring sound. Slow juicing produces car juice with less foam, the juice also comes out as a whole without any layer separation. 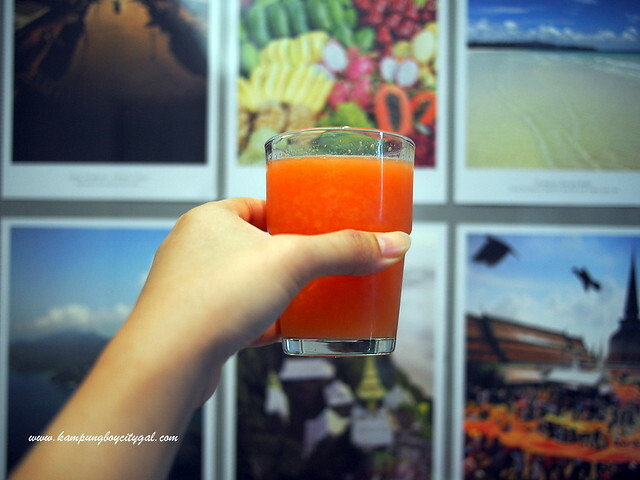 The juices are more stable and can be stored up to 72 hours in the fridge and then consumed. Oxidation is also much slower, and most of goodness within the juice are intact. 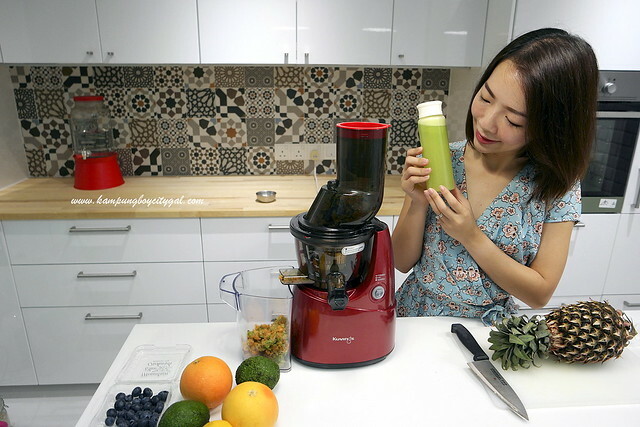 Our Kuvings whole slow juicer comes with a detachable smart cap. It allows me to keep the cap closed, while the juices mix inside the mixing drum before I release them into the jug. 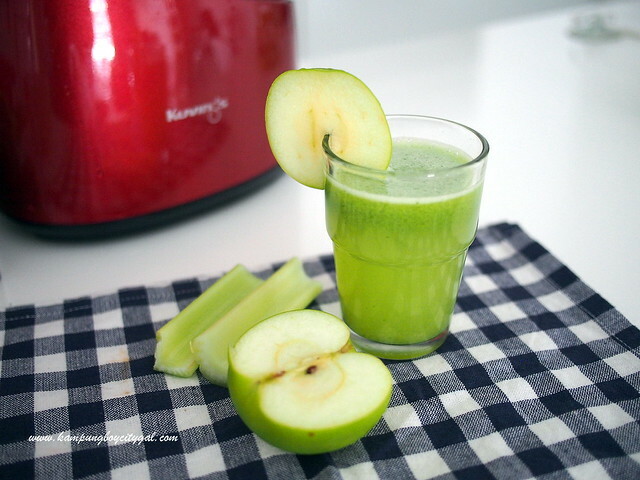 I can also serve my juices into a glass or a jar without any spilling or drainage. 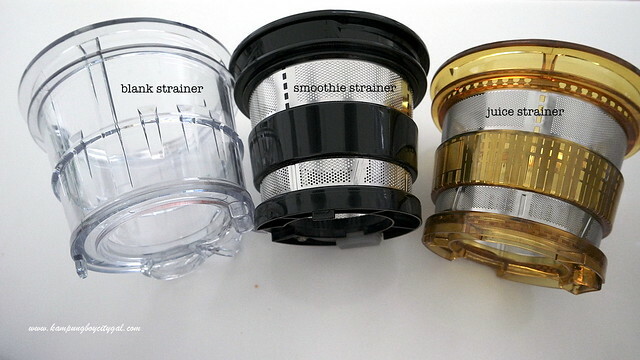 It also comes with a juice strainer, one can also top up for the blank strainer (dessert maker) and smoothie strainer. One of the reason I feel lazy to juice more regularly is that I have to cut my fruits into smaller pieces to feed it through a juicer. 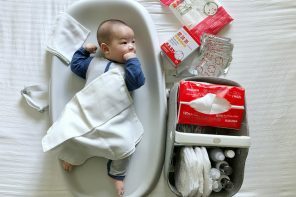 Kuvings heard our plights and come out with a WIDE MOUTH juicer that will simply save so much preparation time. I can just shove one whole apple into the mouth and the machine will do the rest of the work. 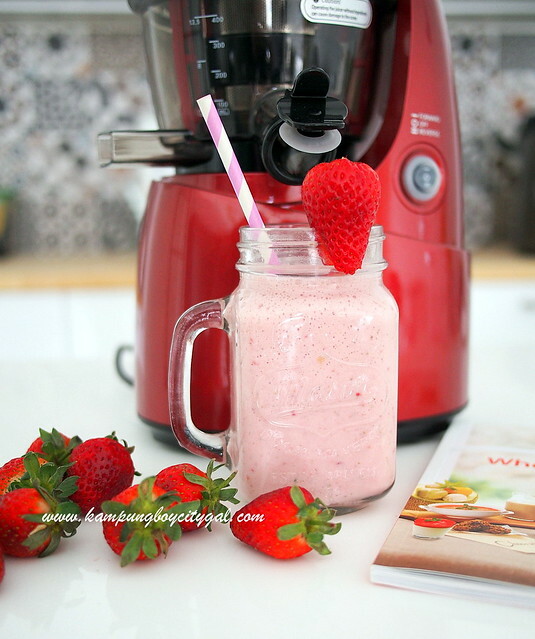 We can also make delicious smoothies with this Kuvings smoothie strainer. 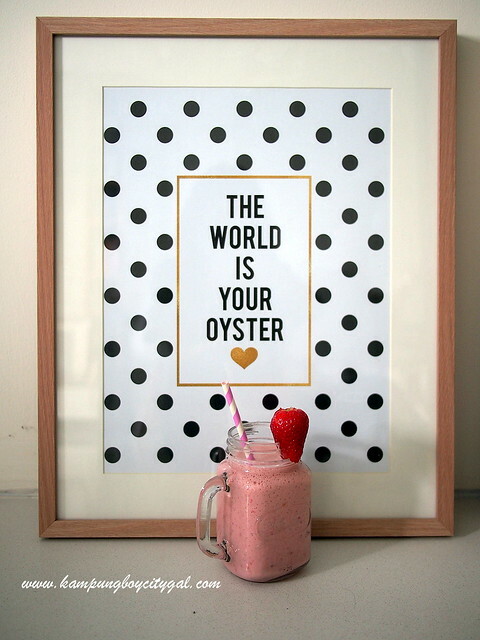 Just add in milk together with frozen fruits or vegetables for a glass of delicious smoothie. 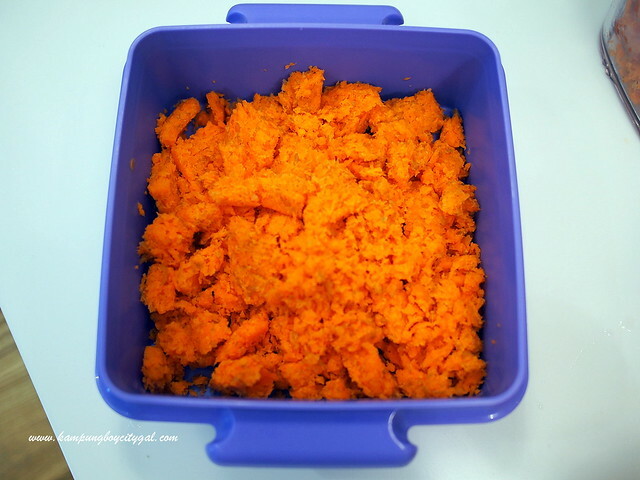 We never really waste our fruits or vegetables pulp too. They can be used to make gardening compost, or we can turn them into some delicious cookies, muffins and vegetables fritters. What about the most dreadful washing part? An external rotating brush is included in the box, just attach it over the strainer and twisting it a few times under running water. Voila, my strainer looks like brand new again! 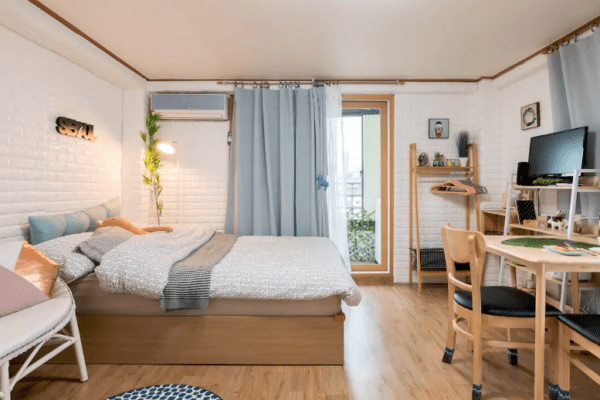 A gigantic cleaning brush is also provided for easy cleaning. Other parts of the juicer is pretty easy to clean, just need to run them under running water. For more information, refer to Remember to shops.kuvings.myl. Remember to register your Kuvings to enjoy 10 year warranty on your motor and auger and 1 years on other parts. 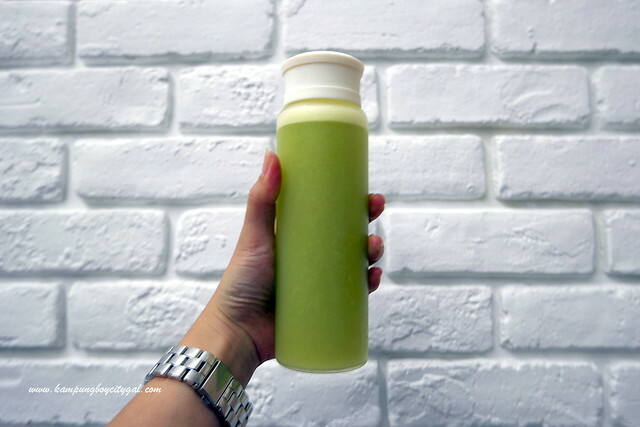 Remember to follow us on Facebook (@kampungboycitygal) or Instagram (@kampungboycitygal) for more of juicing recipes under #kbcgjuicingwithkuvings. Win Yourself A Shopping Spree!